Photo by @gullerpat on Instagram. Of all the amazing travel destinations in the world, North Iceland stands alone as one of the most breathtakingly beautiful and diverse. North Iceland is a land filled with rich culture and striking imagery. You truly won’t be able to find this type of natural splendor anywhere else in the world. Photo by @_total_loss on Instagram. In this ultimate guide to North Iceland, we will be listing some of the most beautiful and intriguing natural wonders and eye-catching attractions. But we’ll also be diving into so much more. There are a number of reasons to visit North Iceland, from friendly people, to gorgeous landscapes, to the awe-inspiring Northern Lights. So many people never consider it as a holiday option, though. They somehow believe that it’s unattainable, or completely out of their budget. 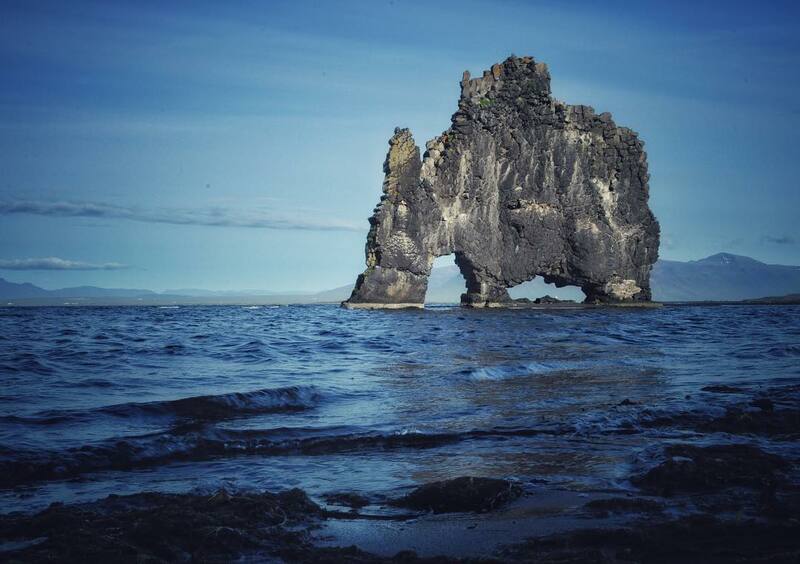 Actually, traveling to North Iceland can be a relatively inexpensive trip if done right. It is somewhere that everyone should visit (if given the opportunity). It’s a region filled with culture and beauty, and something everyone should witness. If you seek to be closer to nature and visit a land that is still in touch with its rural routes, then North Iceland is the place for you. Even if you’ve never considered it as a holiday destination before, we hope this ultimate guide to North Iceland can help convince you to give it a shot! North Iceland is truly a land of beautiful sights and awe-inspiring landscapes. That is, of course, as long as you don’t mind the weather. 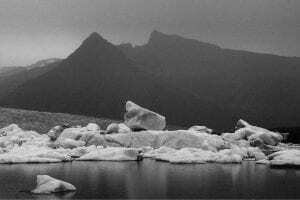 The climate ranges from surprisingly warm to bitter cold; with all manner of rain, snow, and ice in-between. The traditional Icelandic calendar is still sometimes used by the inhabitants of North Iceland. It has only two seasons – Winter and Summer. Winter spans the time between late October to the end of April, and Summer takes up the rest of the year. Photo by @micomicky on Instagram. Considering that Iceland is on the same latitude as places like Alaska and the Yukon, it’s surprising to note that the Summer months can actually be fairly warm. Although North Iceland can be considerably colder than the southern regions at times, which is only to be expected. Considering how far up North it is, whether you visit in Summer or Winter it’s still best to bring all of your cold gear essentials; coats, gloves, hats etc. You may be lucky enough to visit during an unbroken week or two of warm weather. But you never know when temperatures will plummet. 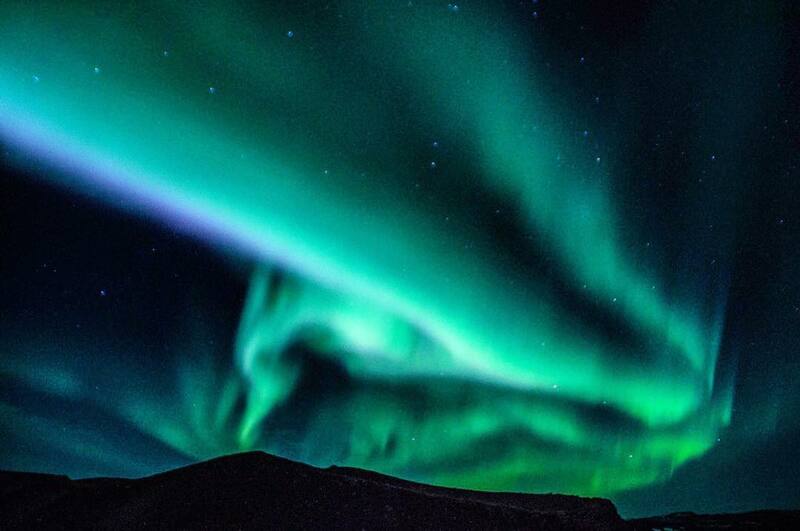 The Northern Lights (Or the Aurora Borealis) are one of the most captivating and moving sights known to mankind. 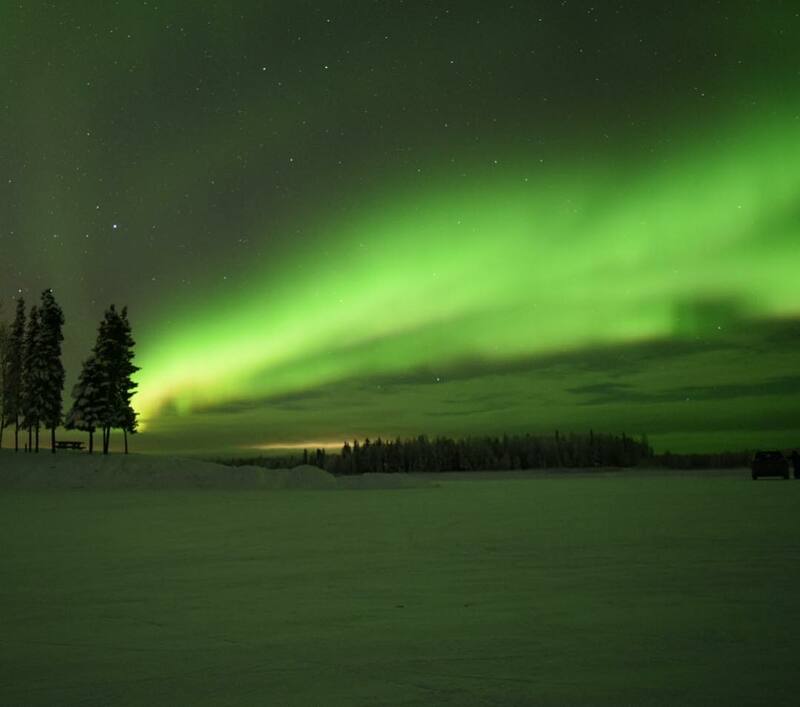 They are a strange, green-tinted light phenomenon that can usually only be seen in the coldest and darkest months of the year (between September and March). 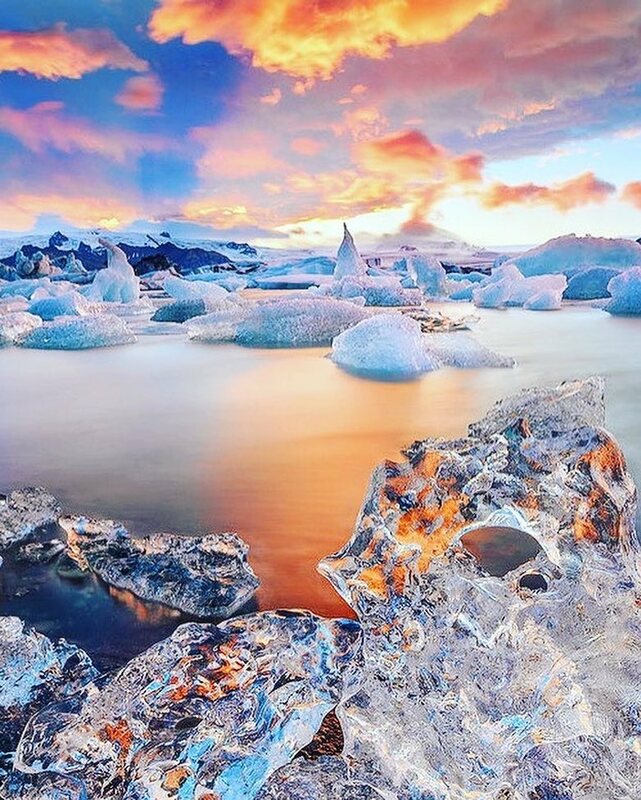 North Iceland is one of the few places in the world where this astonishing sight can be seen. It’s a dazzling experience, and it’s hard not wonder what the ancient Nordic folk thought of it hundreds and thousands of years ago. Modern science, of course, has discovered how and why this peculiar oddity occurs. Electrically charged particles make the thin air, high above the surface of the earth, shine. The predominant colors are green and white, although many different variations have been spotted and recorded over the years. Photo by @dajahof on Instagram. Try and catch a glimpse of them by staying away from the light-pollution of cities. It has to be dark for you to see them. You don’t need to be up high, so don’t worry about climbing mountains at night. Check the designated forecast – they’ll have all the most up to date news and times. Try and visit for at least a week for more of a chance. Stay as long as you can. November – December is the most popular (and therefore busy) time to see them. January – March is your best bet at it being a quiet visit (but the weather is worse). Don’t be disappointed if you only see white lights. These are still the Northern Lights. Long-exposure photographs can help capture the truly amazing colors. They can appear any time at night, so don’t be worried if they’ve not arrived by midnight. And our last tip is this – several North Iceland tourist companies offer trips that are built around the viewing of the Northern Lights and – although not guaranteed – booking through one of these companies is one of the most reliable ways of witnessing them. Photo by @jakenaquin on Instagram. The guides on these tours can offer transportation (by jeep or boat) and you’ll have the highest chance of seeing the Northern Lights. It’s their job to show you them, so they will always try their hardest to make sure you catch a glimpse of these amazing shapes in the sky. If you want to truly experience North Iceland you should try your best to visit as many of the small towns and villages as you possibly can – as well as the larger cities. The friendly people of Iceland are very welcoming of tourists and will treat you right. 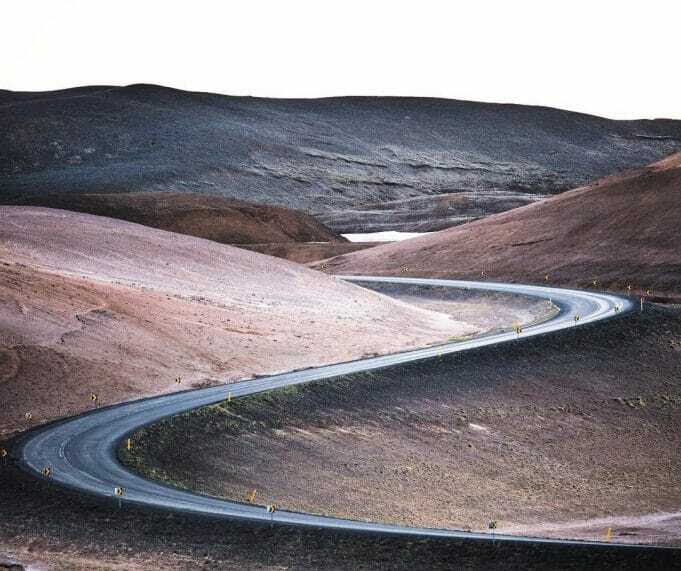 Skagaströnd – Full of natural beauty and amazing landscapes. Þórshöfn – A fishing town that wears its heart on its sleeve. Raufarhöfn – Only 250 inhabitants live in this adorable fishing village. Grenivík – A rural township, nestled underneath Mount Kaldbakur. Hvammstangi – A large and friendly community full of spirit. Reykjahlíð – A modern lakeside community surrounded by nature. 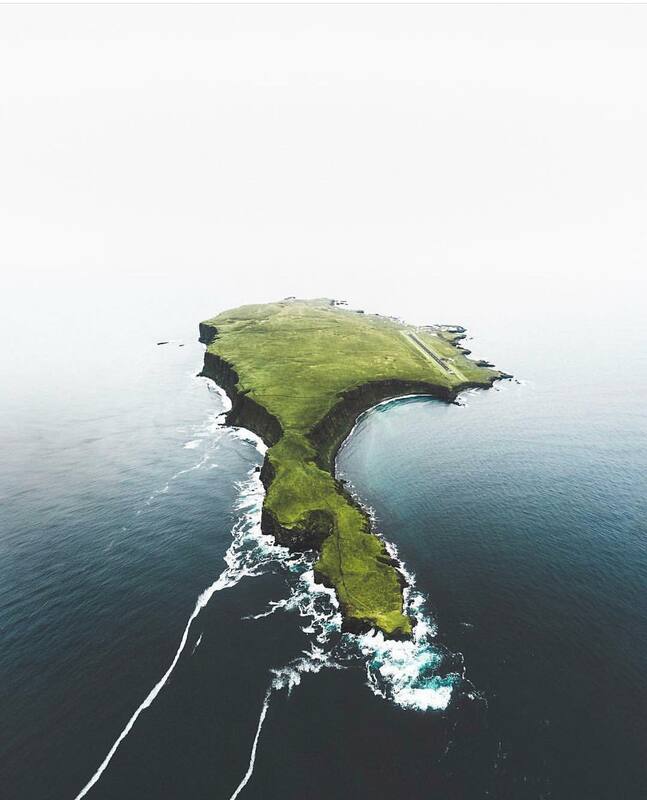 Grímsey Island – A lush, green, and friendly little island. Húsavík – One of the oldest settlements in Iceland, and the largest town. Sauðárkrókur – A quaint, beach-side place. Blönduós – A river-side haven for fans of nature and history. Bakkafjörður – Situated right on the sea and full to the brim with culture. Kópasker – A little slice of paradise on the shores of Oxarfjordur fjord. As you can see, Iceland is full of amazingly friendly and cultured cities, towns, and villages. 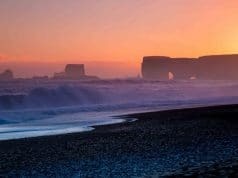 Any one of these places would be a wonderful destination, but if you want to experience true Icelandic culture, try and see as many as you can! Do a little research online and try and find communities you like the sound of. Map out a route you’d love to take, and try and tick off as many of them as you can on your list. You won’t regret meeting these wonderful people. 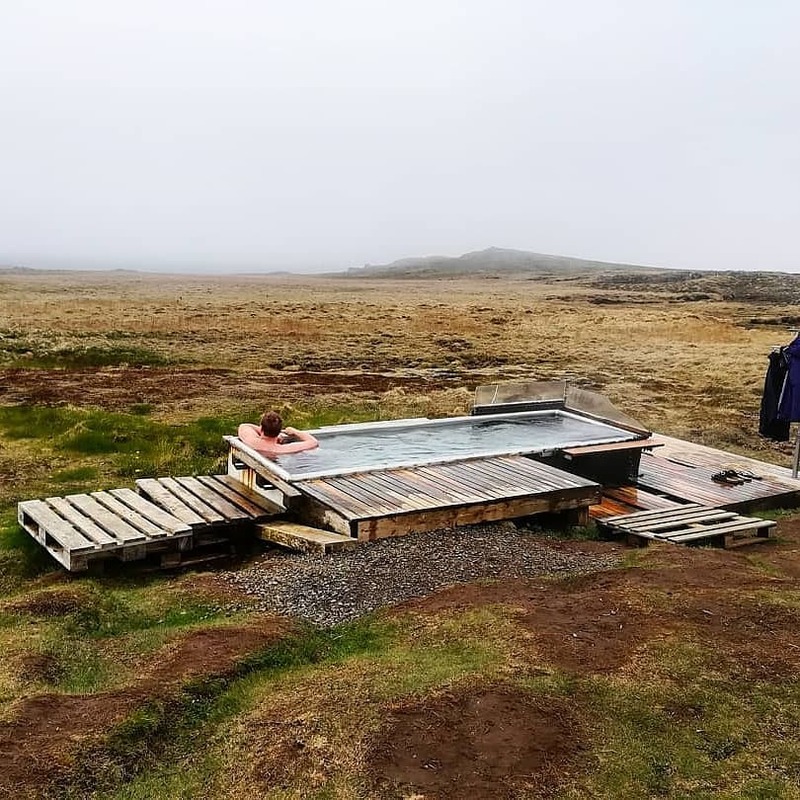 The only way to truly unwind from a long hike in North Iceland is to take a traditional dip in one of the many geothermal pools that can be found all across the country. This is an essential part of the Icelandic experience and can’t be missed! Whether you opt for an ancient, natural spring (that could have even been used by Vikings) or a man-made equivalent, all of these options are perfect for relaxing. Known as the Kaldbakur Pond, this pool is one of the most unique of our entries. While taking a dip in this moderately warm pool you’ll come across many bright goldfish, who live there. These geothermal heated pools are located in the Lake Mývatn area of North Iceland, around 2KM east of Reykjahlíð, so they’re perfect for tourists looking to take a soak without the massive trek. Photo by @jasminealley on Instagram. Situated on a remote stretch of the North Iceland coast, this wonderful little circular pool has a rich Viking history. It is a quaint, delightful place to take a soak and well worth a visit. There are so many of these heated pools, lagoons, and geothermal spas situated around the whole of North Iceland. You can near-enough throw a rock and be in with a chance of hitting one. Definitely make sure you plan out a dip in one of these beautiful, natural pools when you take your trip to North Iceland. They’re not just the perfect way to end a hike, though. No, they’re just a generally relaxing and comforting way to end or start any day! There are some unusual pieces of pool etiquette that can often put tourists off from traveling to these Icelandic national treasures. We’re going to cover that in a later section further down the page, so keep your eyes peeled. As to be expected, North Iceland is full to the brim with stunning areas of exceptional beauty. Iceland only has three national parks, however, they are so vast that they take up an extremely large proportion of the overall land. 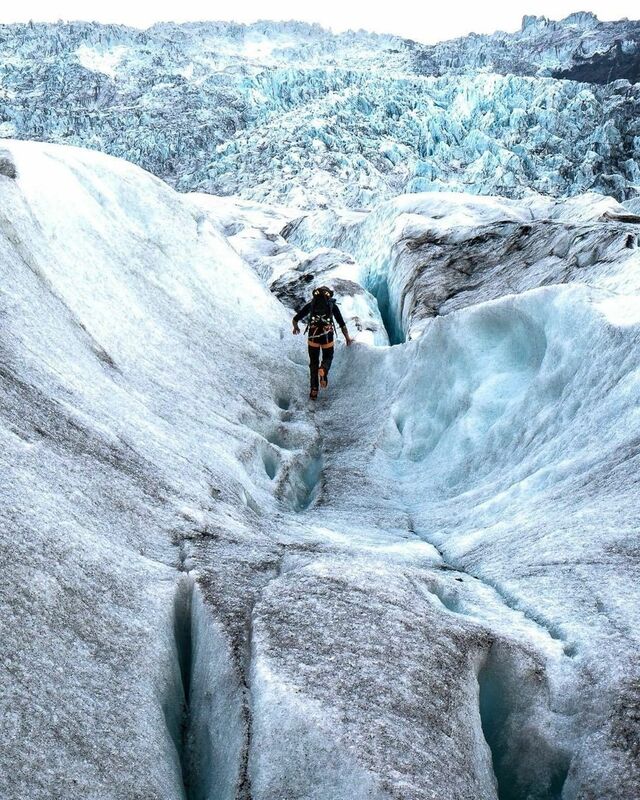 Vatnajökull National Park takes up over 13% of the total land mass in the whole of Iceland and is made up of Skaftafell (in the southwest) and Jökulsárgljúfur in the north. Photo by @viaggio_e_me_ne_frego_di_tutto on Instagram. The Northern Territory consists of Vatnajökull (Europe’s largest glacier outside of the Arctic), Askja caldera, Jökulsárgljúfur canyon, and a proportion of Jökulsá á Fjöllum riverbed. The volcanoes of Askja, Kverkfjöll and Snæfell. The horseshoe-curved cliffs of Ásbyrgi. 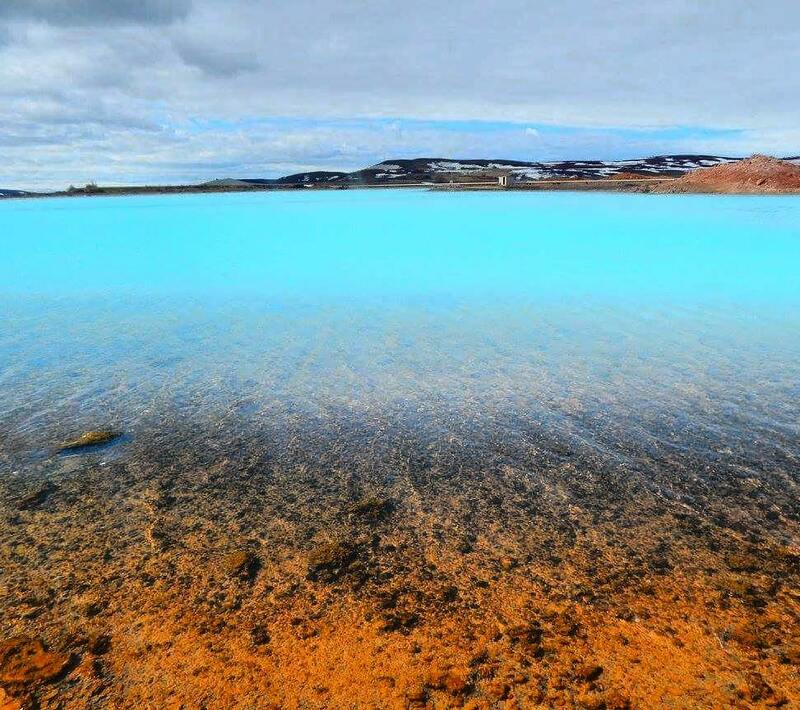 Although not technically a national park, the Mývatn Nature Reserve (Lake Mývatn) is a beautiful area of natural beauty that shouldn’t be missed. Across the lake itself and the surrounding shores you can find a diverse selection of wildlife and other features worthy of its conservation status. Photo by @nicolepenguinn on Instagram. Iceland is known far and wide for its many picturesque waterfalls; which look like something right out of a fantasy novel. In-fact, some of these gorgeous landmarks actually have been used in feature films. Goðafoss (or “Waterfall of the Gods“) is one of the most beautiful natural sights in all of North Iceland. It’s an elegant cascade divided into two horseshoe-shaped falls. Although it’s not the tallest of waterfalls, it certainly makes up for it with sheer elegance. Photo by @paisajesysusfotos on Instagram. Dettifoss is another one of North Iceland’s most jaw-dropping sights. Over 500 cubic meters of water rushes over the edge of this waterfall every single second. It’s reported as being the most powerful fall in the whole of Europe – and was memorably featured in the 2012 film Prometheus, from Ridley Scott. Photo by @alevalbo on Instagram. Kolugljúfur Gorge can be found below the Víðidalsá river and Kolugil Farm. 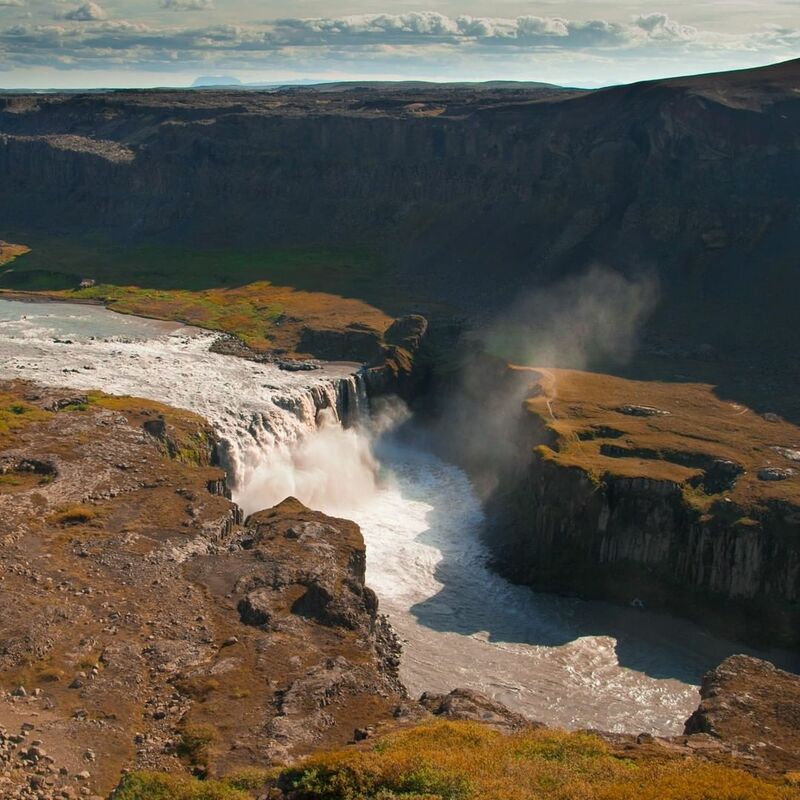 Here you’ll find the many cascading waterfalls known as Kolufossar Falls (which is named so in honor of the giantess, Kola). This breathtaking series of fall are best experienced by driving over the bridge across the gorge, giving you an unparalleled view of them in their majesty. Photo by @mitch_lee on Instagram. Many beautiful waterfalls are dotted around the scenic lands of North Iceland. Wherever you’re staying you’ll probably not be far from a fall just as amazing as the three we’ve listed above. Make sure to ask the locals and your hosts about what their favorite waterfall is. You might even be lucky enough to stumble across directions to a lesser-known and quieter sight of natural beauty! This quaint, award-winning museum is located along the coast of Siglufjörður. It features five exhibition buildings intended to showcase the history of Iceland’s fish industry. This gorgeous valley is one of the most historically important districts in all of North Iceland. It is plentiful with Icelandic horses, rich legends, and amazing views. Situated within the previous entry is this charming and traditional museum. You’ll find everything you need to know about rural life and farming in Iceland. 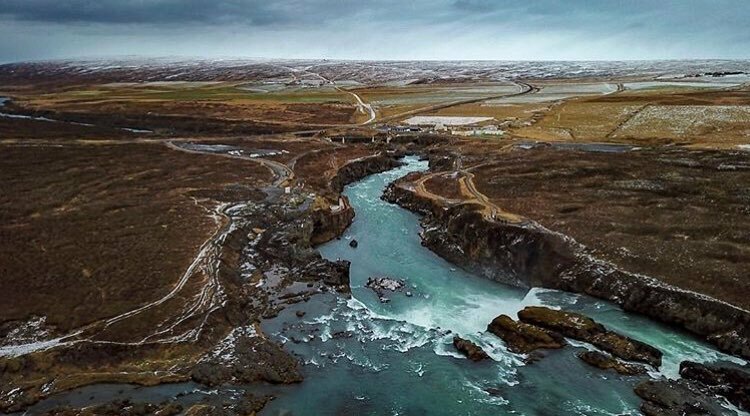 Photo by @icelandin8days on Instagram. 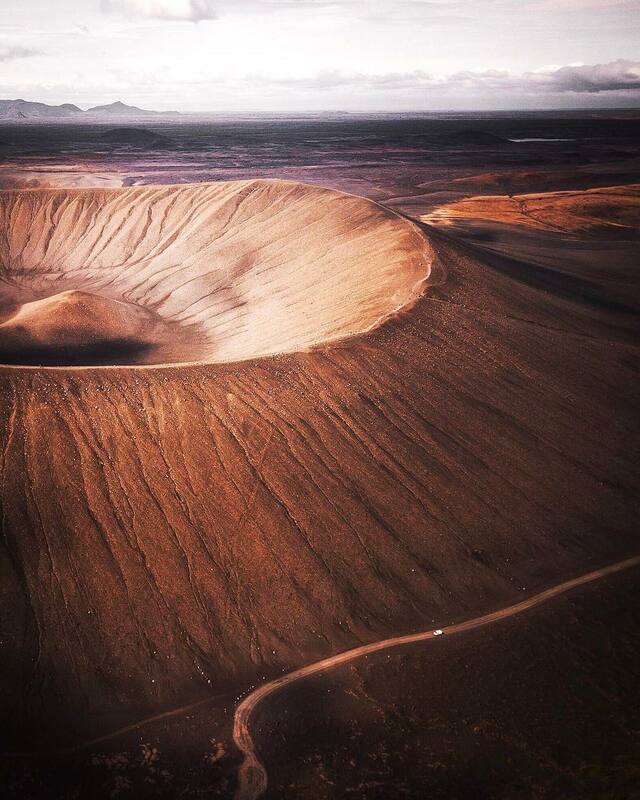 This shockingly huge explosion crater is around 140 meters deep and has a diameter of around 1,000 meters. This symmetrical wonder was created by a volcanic explosion nearly 3,000 years ago. Of course, we could never truly convey just how much there is to experience in a single guide alone. Make sure you do your research when traveling to North Iceland and look up even more of the experiences that await you. In North Iceland the official currency is known as the Icelandic króna (sometimes referred to as ISK, or IKR). Not a lot of currency exchange depots and banks outside of Iceland carry the currency, so you’re best just withdrawing from an ATM or bank when you arrive in the country. As a people, Icelanders aren’t big fans of actually carrying around cash. Rest assured that you’ll be able to pay for plenty of things using your debit or credit card. Just like any country, Iceland has its own culture and its people have their own way of going about things. Many Icelanders are open and welcoming to all tourists and foreigners, so don’t be afraid if you have to ask a question about something you don’t understand. Many people find this to be a bizarre practice, but it’s completely normal in Iceland (as well as several other countries in the area). While walking down the street you may happen upon a seemingly abandoned baby in a carriage outside a cafe. The people of Iceland have done this for years and many babies nap outside of establishment as their parents watch from indoors. Surprisingly, to many people, alcohol can’t just be purchased in a normal supermarket (for off-premises consumption). The only establishments you’re able to purchase alcohol from are state-owned shops, which are referred to as Vínbúðin. You’ll soon get used to this, however. 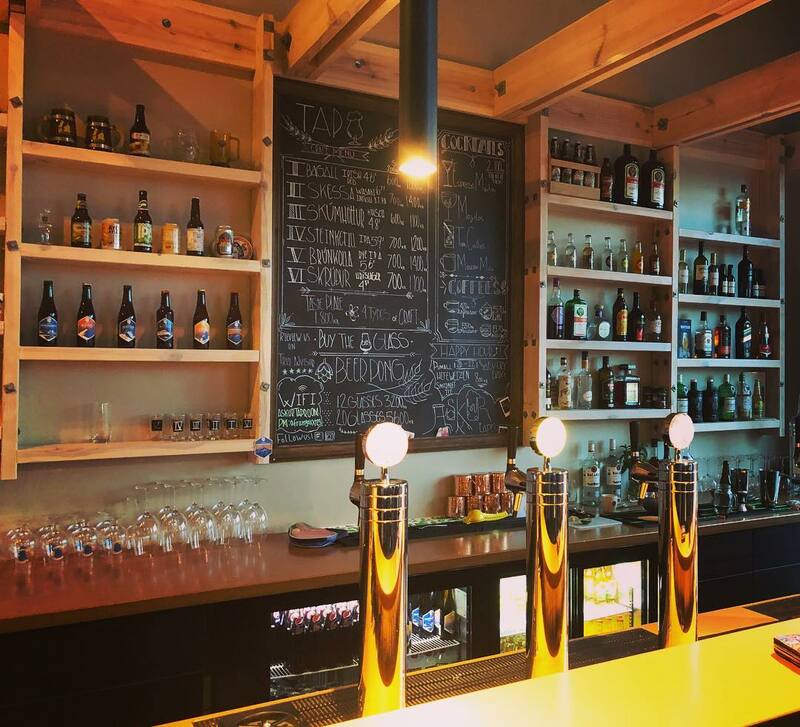 There are also breweries, though, but they are mainly in and around Reykjavik or Akureyri. Photo by @van3ssi3 on Instagram. Many western countries have been told to never drink the tap water when visiting a foreign country. The tap water in North Iceland is completely safe, though. So don’t be loading up before every outing with the expensive bottled variety. 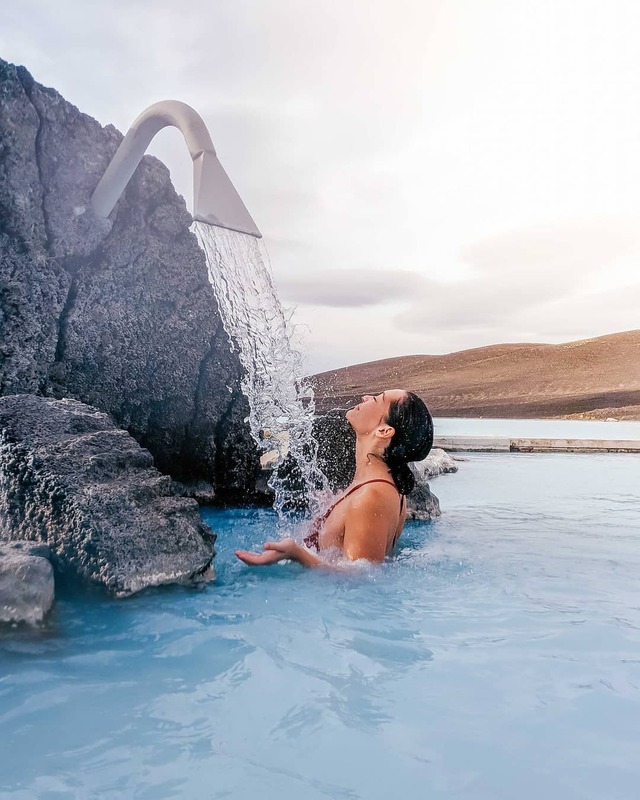 As uncomfortable as it might feel to the more reserved of us, whenever you’re ready to go for a soak in one of the many geothermal pools you’ll come across a peculiar piece of etiquette. Before diving into one of these for a soak, you’ll have to shower yourself off completely naked. As you can see, there are several cultural differences between North Iceland and many other countries. These differences, however, are part of why we love North Iceland and its people so much. Photo by @bombo.94 on Instagram. It’s important to embrace these cultural quirks whenever you go traveling and just enjoy the experience for what it is. After all, that’s what traveling the world is all about. Finding new and fun friends, experiencing everything possible, and living your life the best you can! 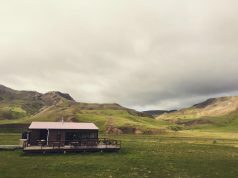 Although North Iceland can brag one of the lowest crime rates in the entire world, there are still certain things that travelers should be aware of. Whenever you’re traveling to somewhere new it’s always important to research beforehand what possible dangers await. 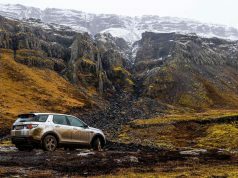 If you’re planning on seeing as much of North Iceland as possible then you really must rent a vehicle during your stay. Something like a 4×4, with plenty of safety features and all-terrain capabilities is recommended. Many of the more rural roads in Iceland aren’t as well maintained as in other parts of the world. These are referred to as F-roads. This is due to ease-of-access and the general weather conditions. You can expect to encounter lots of rivers without bridges to cross over. You will also cross slippery roads glazed with ice, unpaved roads in states of disrepair. Photo by @marksolon on Instagram. 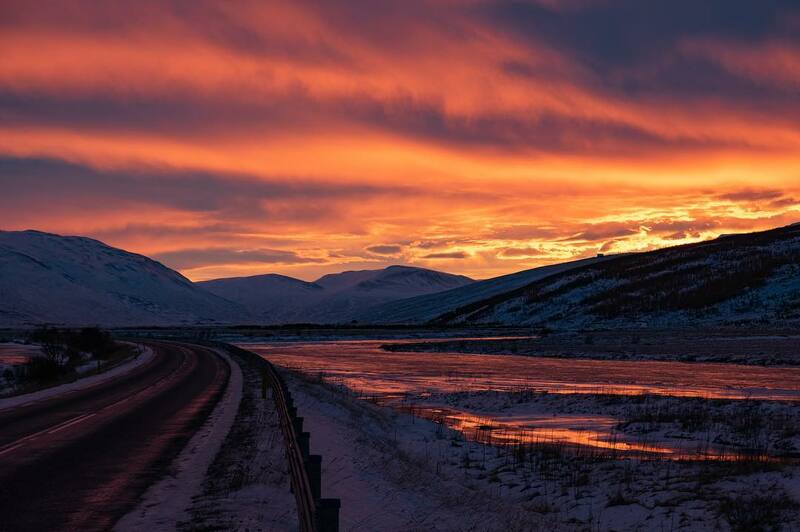 Although North Iceland does enjoy some seasonal sunshine from time-to-time, it’s still important to remember how quickly the weather can change over there. It can go from a pleasant warmth to winter winds and snow in no time at all. Always remember to bring out the essentials with you if you’ll be leaving towns and heading out into the wild for more than a few minutes. Pack warm coats, gloves, and hats and ensure that you have them on you at all times in case the weather changes for the worse during a hike. It’s most important to just use your common sense. If possible, leave a detailed travel plan with your host or hotel. This way, if you’re not back home in time (for whatever reason) they know where you should be and can check on you if needed. We hope that our ultimate guide to North Iceland has provided you with plenty of information should you ever travel to the region. This has just been a small selection of some of the amazing things you can expect to see. 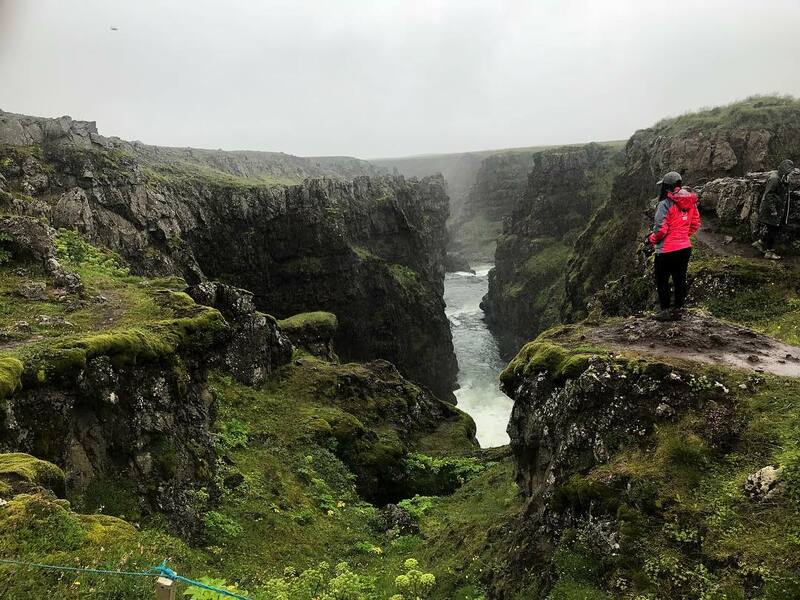 Hopefully – even if you’ve never considered it before – this glimpse into the wonders of North Iceland will push you to take the plunge and book flights to one of the most amazing countries in the world.